Do you want a brilliant cleaner or housekeeper at a low price? 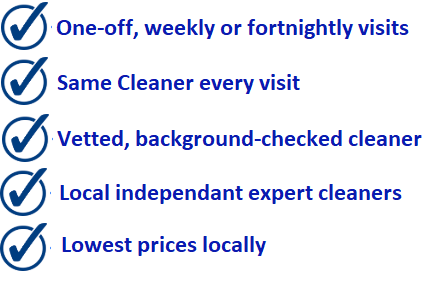 A cleaner that lives in Yeovil, West Coker or Sherborne and can work when you need them? 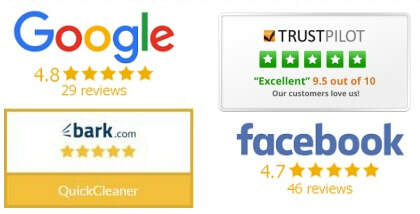 ​A cleaner that has been thoroughly checked and has passed our strict five point approval process? The welcome to QuickCleaner Yeovil. We have everything you need. We work in homes and houses, flat and apartments, shops offices, medical practices and all type of commercial premises. 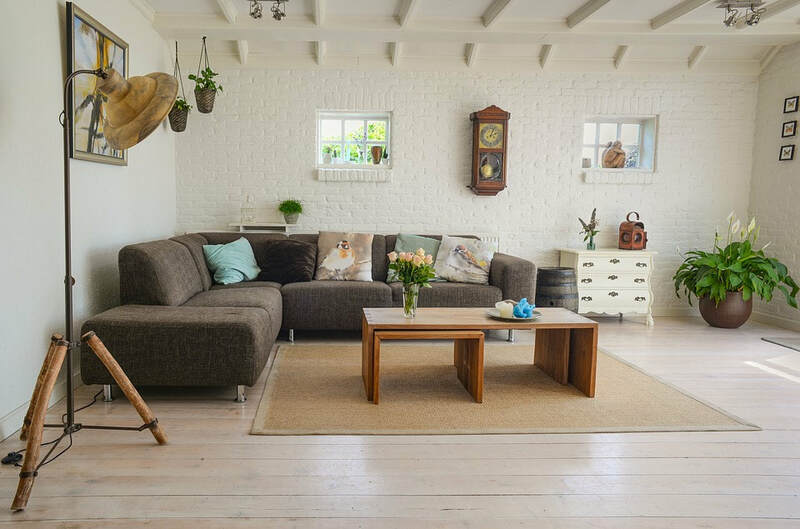 Our skilled cleaners in Yeovil are happy to undertake all types of internal cleaning for the same low hourly rate as well as laundry, ironing and housekeeping work as required. Our cleaning service starts with you and us understanding exactly what you require from your cleaner. All selection and matching is done by a person not a computer! ​Our cleaners can help you with any reasonable cleaning chores on the inside of your property. The cleaner you get will always live close to you. You do not need to pay for their travel time. Are cleaner are happy and motivated, they work hard and perform well - there is not secret it is because we treat the fairly, build long term relationships based on trust and manage them carefully. Every single one of our cleaners is fully vetted and approved by us. This ensures quality of their cleaning, confirmed they can be trusted in your home and handling your keys and you never need to worry about right to work or employment status. We have recently been voted the best domestic cleaning company in Yeovil. As a result we are experiencing an even higher level of demand. As a result we are always recruiting for cleaners. We have a constant requirement of yeovil cleaning jobs to fill and we always want to hear from experienced cleaners or people who have transferable skills that would like to work as a cleaner.